Intercept Management Corp is equipped to manage all of your distressed property needs. The property management functions of real estate, whether it’s a distressed property or in receivership, is extremely important to maximize the value of the asset. Intercept Management Corp has extensive experience in making the proper decisions of: improving the projects through additional investments while marketing the sale of the property to maximize the value; collecting rents and acting in the landlord capacity while marketing the property for sale or making the tough decision to cut the losses and sell the properties through disorganized sale. Intercept Management Corp will work on your behalf to develop the best solution for your property while maximizing profitability and enhancing tenant experiences, with a quick turnaround. Leasing, marketing and sales services. We also offer long-term financial planning and budget preparation. 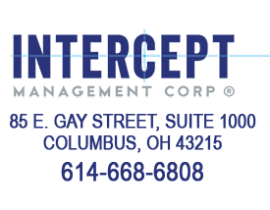 Intercept Management Corp offers profit/loss reports and turnover/occupancy comparisons. We work with Condo Associations and Boards of Directors, attend meetings and support the property. We enforce the property rules and regulations, including inspections, collection of past due rent or eviction services if necessary. We maximize the financial opportunities while working out an exit strategy best suited for the project.